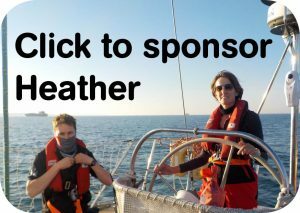 One of our amazing supporters, Heather Broadbent, is taking part in the Clipper Around the World Race 2019/20. The Clipper Race is a record breaking 40,000 nautical mile race around the world, on a 70-foot ocean racing yacht. It’s described as one of the biggest challenges of the natural world and an endurance test like no other. 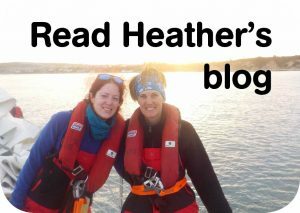 Heather, who lives locally, has no previous experience of sailing, but is hard at work training for the challenge. She’s hoping to raise £40,000 for East Cheshire Hospice @Home service, a cause close to her heart after losing her husband here at the Hospice a few years ago.